“People looked on amazed, astonished, without knowing what it meant. Many seriously believed to be seeing nothing but a military parade,” wrote journalist Aristides Lobo on November 15, 1889. He was reporting on the fall of Brazil’s monarchy and the proclamation of the Brazilian Republic, but clearly, citizens did not understand what was happening that day. The “it” referred to by the reporter was when Marshal Deodoro da Fonseca proclaimed that Brazil was, from then on, a republic, ending the empire at Campo de Santana, in Rio de Janeiro, the country’s capital. In the painting that depicts this historical moment, there are cannons, cavalry, and soldiers, but no civilians. Many historians call the regime change a military coup. Emperor Pedro II was overthrown and Field Marshal Fonseca became the first president of the so-called First Republic. It would not be the last foray of the military into Brazilian politics. In the 1930s, lieutenants staged several revolts that culminated in the rise of Getulio Vargas to power. In 1955, factions of the army fought over newly-elected president Juscelino Kubistchek: part of the Armed Forces’ top brass wanted to prevent him from taking office, and part acted to ensure that the president-elect would be inaugurated. Then, in 1964, the military launched another coup and stayed in power until 1985. With the election of Jair Bolsonaro, a former Army captain, it seems the Armed Forces are once again involved in politics. Though the president-elect and his vice (a former general) won the elections democratically, many see this move as an excuse to put the military in power again. Journalist and historian Laurentino Gomes wrote a trilogy about Brazilian history that ends exactly in 1889, the year of the Proclamation of the Republic. He spoke with The Brazilian Report via email about why have the Armed Forces been so involved in politics and what risks it poses to our democracy. What was the role of the military in the Proclamation of the Republic? The participation of the military was important in the fall of the monarchy and the proclamation of the Brazilian Republic, but they were not the only belligerents, and arguably weren’t the most decisive. Since the end of the War of Paraguay, the military was displeased with the imperial government. They considered themselves politically discredited, their salaries were frozen, and the budget of the military diminished. But innumerable other factors were added to this for the regime change to happen. One of them was the abolition of slavery by the so-called “Golden Law” in May 1888, which deepened the unpopularity of Princess Isabel among coffee growers and farmers, who until then had been the throne’s main constituency. In the following months, they abandoned the monarchy ship and swam toward the republican boat. The festival of adhesions of the old coffee barons to the new republican regime was immediate and scandalous. Moreover, by the end of the 19th century, the very notion of monarchy had become unsustainable. The empire was a failed project which did not live up to its potential, an illusion that was lost in the past. Imperial Brazil was a land more imaginary than real. On the eve of the proclamation of the Republic, it was a country that appeared to be more civilized, rich, elegant, and educated than it actually was or would be in the future. To foreign diplomats and visitors, it looked like an empire destined to be large, powerful, and well-developed—a “sleeping giant in a splendid cradle,” as the very lyrics of the National Anthem read. Emperor Pedro II, always photographed with a book in his hands next to a scientific object, was the greatest symbol of all. This Brazil of dreams, however, was confronted with another, one which was real and very different, marked by slavery, illiteracy, and poverty. This contradiction was difficult to sustain in the long run. So, in my opinion, the monarchy fell as opposed to being overthrown. It was a building which was imploded due to no longer being able to stand. Was the military planning to stay in power? 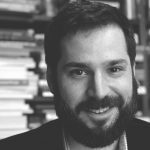 Was the Brazilian Republic accidental? The military came to power in 1889 more by accident than by will. Proof of this is that, contrary to what the books of official history say, at no time on November 15, 1889, did Marshal Deodoro da Fonseca proclaim the new republic. He only led the military coup that was aimed at overthrowing the office of the Viscount of Ouro Preto, accused by the marshal of pursuing the army and its officers. This seemed, in fact, to be the sole purpose of the military that day. Some reports even say that, before entering the Viscount’s room and dismissing the ministry, the marshal hailed emperor Pedro II of whom he considered himself an admirer and personal friend. Deodoro only changed his position and agreed to the change of regime at dawn on the 16th, when he learned that Emperor Pedro II had called for a new cabinet to be composed by Senator Gaspar da Silveira Martins, leader of the Liberal Party and his rival in the politics of southern state Rio Grande do Sul. From then on, as there were much rivalries and disagreements among Republican civilians, the military eventually dominated the scene for nearly a decade until 1898. Was this the first episode in which military and politics mixed in our history? The first major intervention of the military in politics occurred in 1831 and resulted in the abdication of the Pedro I empire on April 7 of that year. It was led by Marshal Francisco de Lima e Silva, father of the future Duke of Caxias. Dom Pedro relinquished the throne and left for Europe in the midst of colossal pressures from the streets and barracks. The hero of independence in 1822 had quickly became a villain to Brazilians. The nine years of the First Kingdom had been highly unstable, marked by the conflict between parliament and the authoritarian nature of Dom Pedro, by the scandals of his personal life—especially his romantic involvement with the Marquise of Santos—and the suspicion, on the part of the Brazilians, that the emperor was more concerned with the interests of Portugal than with those of Brazil. His abdication was interpreted by many as the “nationalization of independence.” Finally, the nation’s fate was in the hands of the Brazilians themselves. And the military played a key role in this process. Did the Proclamation of the Republic trigger this habit of interference by the Armed Forces in national politics? In the opinion of the historian José Murilo de Carvalho, after 1889, the military considered themselves the guarantors or saviors of the republican regime. More than that, in different periods, they behaved as if they were the owners of the Brazilian republic, with the right to intervene when it seemed convenient. Whenever the new regime faced serious crises—and there were many throughout the 20th century—military leaders intervened or threatened to intervene to secure order between the powers and national security that they believed to be threatened. To this end, they often censored the press, closed Congress, repressed opponents, and trampled constitutional freedoms. And still today this threat is still present in the Brazilian reality. Is the Brazil of the Proclamation of the Republic very different from the country of today? 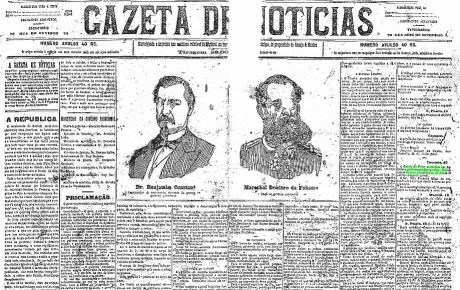 In political terms, there are still many similarities between Brazil today and in 1889. The Brazilian republic is a government regime that promises a lot and does little. This has been the case for over a century. There is, therefore, a contradiction in Brazilian republican history. Before 1889, the propagandists of the new regime advocated education for all, civil liberties, expansion of voting rights, and other promises that had not been fulfilled. In 1889, about 80 percent of Brazilians were poor and illiterate. The slaves, freed the previous year by the Golden Law, had been left to their own devices. And so they continued in the republican regime. The same coffee growers, ranchers, and colonels who ruled in Second Empire politics continued to rule in the early years of the Republic, at least until 1930. Electoral fraud, responsible for the so-called “vote corraling”, was one of the main characteristics of monarchic Brazil and remained undaunted in Republican Brazil. The regime only changed its name, but the political structure remained intact. I believe that much of what is happening today in Brazil, including street demonstrations, is rooted in this distance between Republican promises and dreams, and actual reality. For nearly a century, we have lived in a republic of monarchical practices, in which the people were systematically kept out of any possibility of participation. The construction and organization of national institutions in this period was always top-down, as in the times of the empire. The Brazilians participated little in the construction of the national state. Therefore, this sense of strangeness between State and society is observed today. The Brazilians do not recognize themselves in what is in Brasilia. And only persistence on the democratic path, in the long run, can change that. Why does the military interfere so much in our politics? Clearly, in the republic, the military has assumed the role of tutors of the regime, heirs in the practice of an important prerogative played by the emperors Pedro I and Pedro II. It was the so-called Moderate Power, created by the constitution of 1824. In Brazil, inspired by the ideas of the French-Swiss thinker Henry Benjamin Constant de Rebeque, the moderating power overlapped and arbitrated eventual differences between the other three – executive, legislative and judicial. It was an attempt to reconcile the monarchy with liberty, civil rights, and the constitution. In the case of Brazil, the duties of the emperor included appointing and firing ministers at will, dissolving the House of Representatives, and calling for new parliamentary elections. In the 49 years of the Second Reign, Pedro II had 36 cabinets, on average one every four months. The military continued to play this role in the Republic, although the Moderating Power was abolished in the Constitution of 1891, the first of the new republican regime. Nevertheless, the military adopted the habit of closing the congress, discharging elective mandates, intervening in the electoral process, arresting or exiling its opponents, censoring the press. Therefore, it became a moderator without moderation. 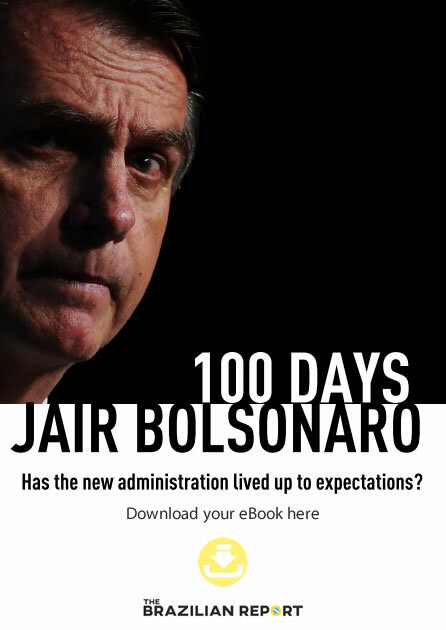 The result is an unbelievable series of abrupt interventions in the institutions, which have been the norm until recently in Brazil’s tumultuous republican history. Could our Republic have been more “republican” had it not been born the way it was? Is it possible to make such speculation? The republic imposed itself in Brazil more for the weaknesses of the monarchy than for the vigor of republican ideals in 1889. 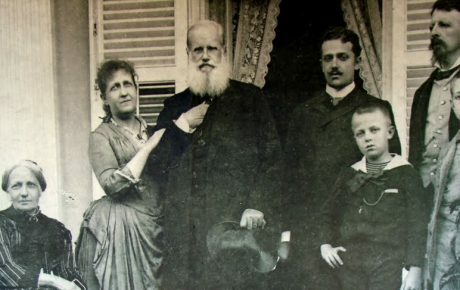 Emperor Pedro II was tired, ill, unable to react to the pressures that the government faced at that moment on the part of the Army and the coffee barons disgusted with the abolition of slavery. Until the eve of the proclamation, the Brazilian republicans were divided into several groups that communicated precariously and had many divergences. 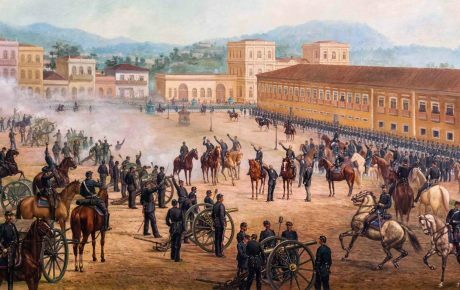 In Rio de Janeiro, there was the military youth of Benjamin Constant, who, influenced by the positivist thought of August Comte, preached the installation of a republican dictatorship. There were also the intellectuals like Quintino Bocaiúva, Silva Jardim, Rui Barbosa and Lopes Trovão, a group that made a lot of noise in the press but had little capacity for political articulation. Finally, there were coffee growers from the west of São Paulo, who were entrepreneurs and fascinated by the liberal American republic. The problem is that all these people could not seduce the small public opinion of the time and win votes. The performance of the Republican candidates in the elections was meager. With no alternative at the polls, the Republicans fell on top of the military and overthrew the monarchy by means of a coup led by Marshal Deodoro da Fonseca. In your opinion, is the participation of the military in politics always negative or can it be positive? I think that, in a democratic environment, this intervention is always inappropriate. The armed forces have very clear constitutional roles, linked to the defense of sovereignty and national security. This can only happen in the context of a war against an external enemy, declared in accordance with what is provided by law. Nothing in the constitution authorizes the military to close the congress, interfere with justice, appoint mayors or governors, arrest or torture political opponents, censor the press, and adopt other arbitrary measures, as it did in the 1964 regime. Therefore, even if a dictatorial government makes good decisions, for example in the area of the economy and public security, [the military’s] participation is always illegitimate because it is not in accordance with the democratic process, in which all Brazilians are called to participate in decisions and construct the future, in the vote and in the polls, in an environment of ample freedom of expression.